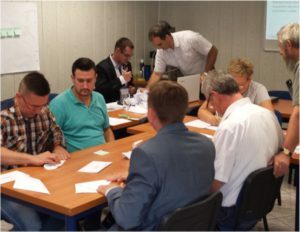 In order to assure top quality and meet our customers’ expectations, we undertook to conduct comprehensive Lean Manufacturing workshops together with Lean Action Plan from Kraków. Upon the completion of training and value steam mapping, we improved a layout in and standardised the packing area: we improved 5S, tool organisation, work standardisation cards, and the Kanban method in relation to packing components. Then, having involved personnel from all our sections, we rearranged the layout of our production floor for the purpose of improving the flow of materials and minimising excessive transport. Lean Manufacturing workshops are being carried on and will cover subsequent areas of our operations.